Beat the heat with these cool treats. (SPOT.ph) You're probably used to the Philippines' tropical climate by now—and there's no denying that it can get pretty humid on most days of the year, which is why we need to find ways to beat the heat. One easy solution? Cool and icy treats, of course! 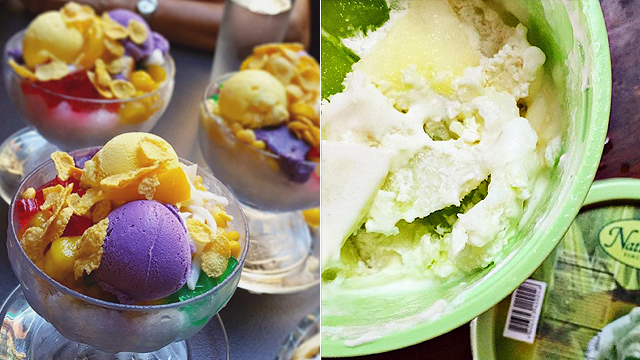 And we’re not just talking about ice cream—we’re putting the spotlight on your favorite Filipino iced desserts, and we've rounded up 10 awesome spots where you can score some, stat. 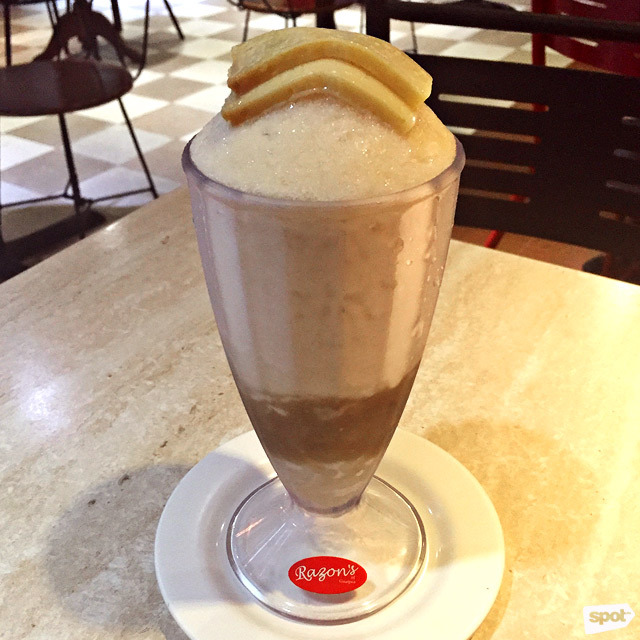 We all know that Manam Café is a great place for your favorite Pinoy dishes, which you could also get with fun and modern “twists.” But classic meals aren’t the only thing you can find here—they’ve also got a lot of cool iced desserts. Their no-nonsense Guinumis (P145) is all about highlighting the creamy coconut milk contrasted by pandan-flavored gulaman and, of course, crunchy toasted pinipig. Besides that, Manam Café has a lot of Filipino-inspired shakes and floats to cool you down, like the best-selling Buko + Pandan (P125), Mango + Pomelo + Sago (P125), and Ube + Sago (P110), both milky and very refreshing. 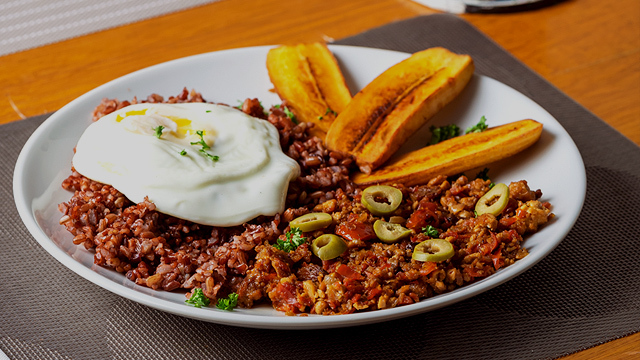 Manam Café has branches at The Podium, Ortigas, Mandaluyong City; Molito Commercial Complex, Alabang, Muntinlupa City; and Mega Fashion Hall, SM Megamall, Mandaluyong City. 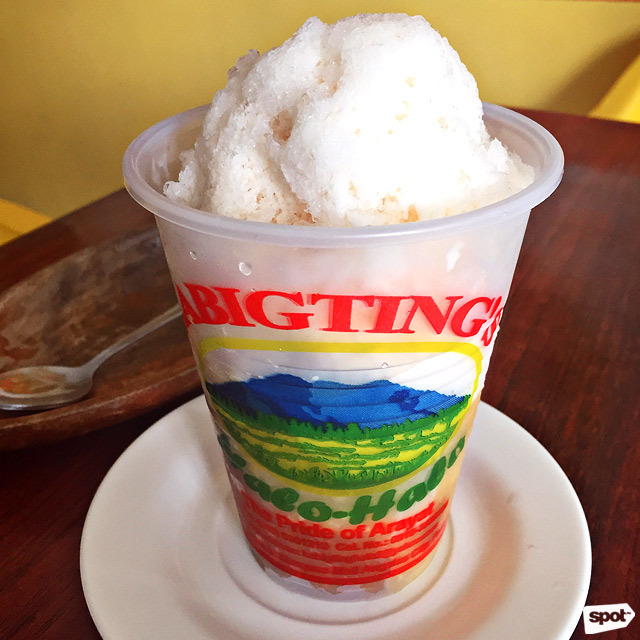 Kabigting’s Halo Halo has been an institution for creamy iced desserts and classic Pinoy merienda since 1970, so you’re sure a trip here is worth a visit. 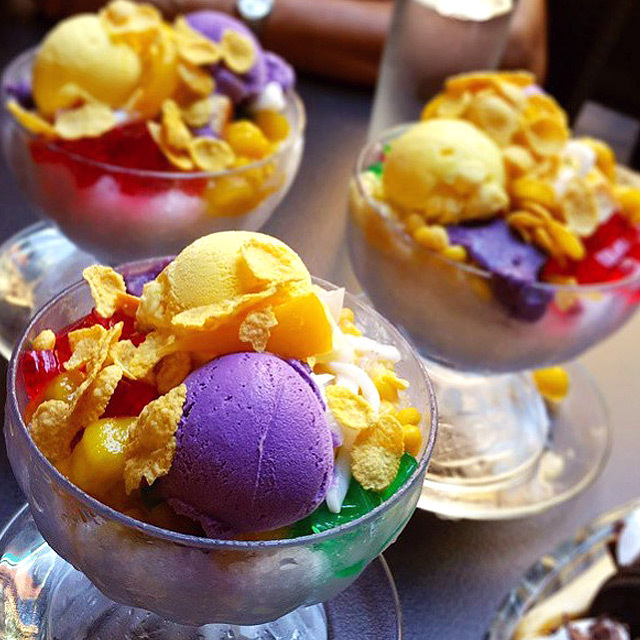 Their signature Halo-Halo (P110) is an all-time favorite and also a strong contender in our Top 10 Halo-Halo in Manila. It boasts only three main ingredients: Mashed brown kidney beans, creamed corn, and sweet, creamy pastillas made from carabao’s milk. Its shaved ice is also one of the smoothest versions you’ll ever find, making it the perfect fuss-free afternoon snack. 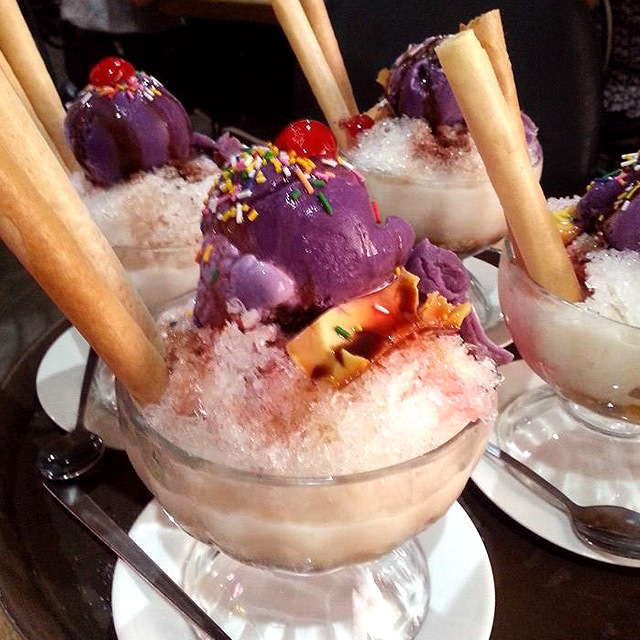 Kabigting’s Halo Halo has branches at Lilac Street, Concepcion Dos, Marikina City; Ayala Malls Cloverleaf, Balintawak, Quezon City; and Mayon Street, La Loma, Quezon City. Known as one of the best 24-hour restaurants in Manila, Goto Monster is also one of the Metro’s best-kept secrets. Come here for your fix of homey Pinoy dishes with a glammed-up twist such as goto with sautéed mushrooms or heart-stopping chicharon bulaklak. 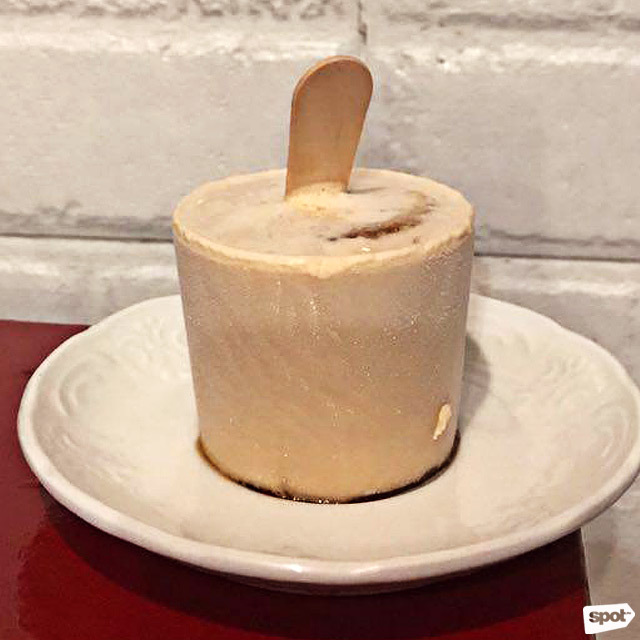 They have a wide selection of homemade ice-cream pops, too, which they offer in fun, Filipino-inspired flavors like Leche Flan (P60), Ginataang Halo-Halo (P60), Ube Halaya (P60), Banana Chocnut (P60), and Mango Sticky Rice (P60). These will help you beat the heat, especially since all their branches are al fresco. Goto Monster has branches at 245 Primo de Rivera Street corner Pablo Ocampo Sr. Extension, La Paz, Makati City; and Salo Park, 562 J. Nakpil Street, Malate, Manila City. When it comes to homemade ice creams and amazing Filipino desserts, Milky Way has made a darn-good name for themselves over the past few decades. 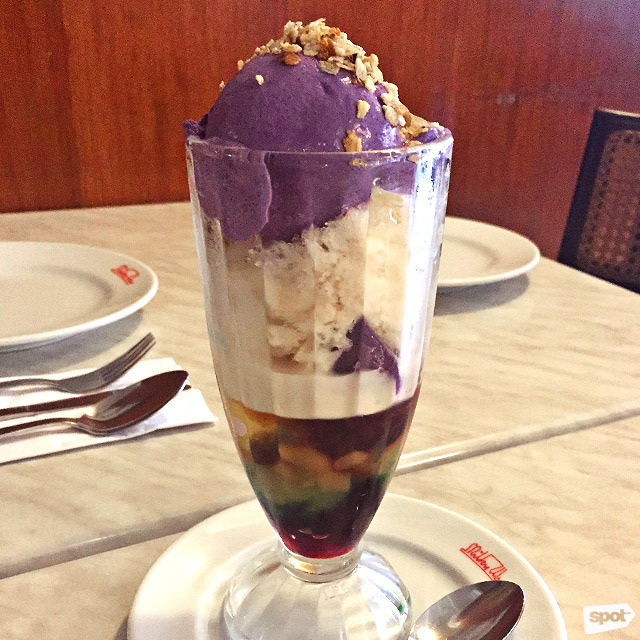 Their Halo-Halo (P225) is the main event, and arguably still Manila’s best halo-halo. Made with pinipig, sweetened saba and langka, red jelly, garbanzos, and kaong, each tall glass is topped with your choice of ice cream—if you can’t decide which flavor to choose, we suggest you go for the classic ube. 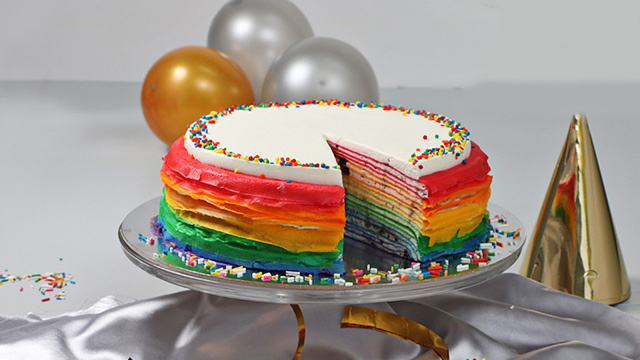 Even if you can’t hit the beach anytime soon, this dessert will do the trick. Milky Way is at 2/F 900 A. Arnaiz Avenue corner Paseo De Roxas Street, San Lorenzo, Makati City. Ever since Bench Café opened their doors in 2018, they’ve been whipping up family favorites, which you can have all day—Pinoy desserts included. They’ve got the perfect cold sweets to help you beat the summer heat, like the Mango Otap (P90/12oz, P139/16oz), which is an icy concoction of sweet mango, crunchy otap bits, and milk. On the other hand, their halo-halo comes in two flavors: The super creamy White Halo-Halo (P95/12oz, P149/16oz) and the crowd-pleasing, earthy-sweet Ube Halo-Halo (P95/12oz, P149/16oz). Bench Café has branches at 2/F Bench Boutique, BGC Flagship Store, Bonifacio High Street, Bonifacio Global City; and 2/F Greenbelt 3, Ayala Center, Makati City. Originally from Quezon City, Little Quiapo has since branched out to the south of the Metro to share their best-selling dishes like palabok and kare-kare. 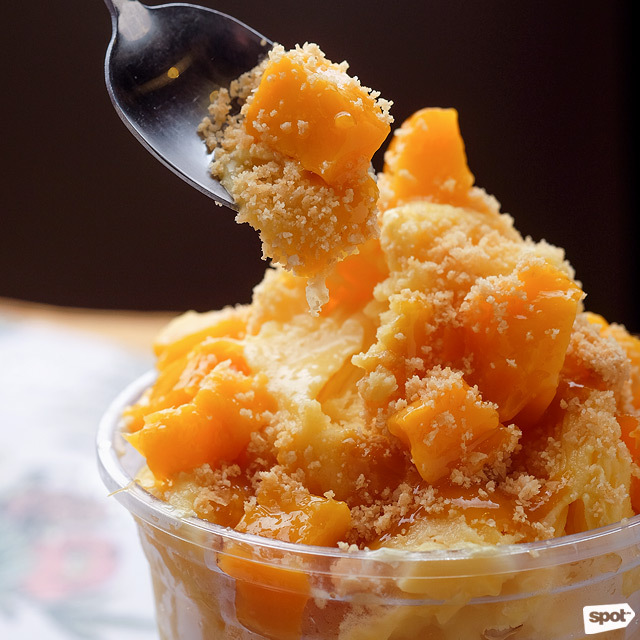 Their iced desserts are also worth a visit, and you can’t go wrong with their Mais con Hielo (P125), which combines creamed corn and sugar to make one milky-sweet snack. For the ultimate Pinoy treat, a cool bowl of their famous Halo-Halo (P125/regular, P145/special, P165/fiesta) is in order. Little Quiapo has branches at 90 Malakas Street, Diliman, Quezon City; and 42 Aguirre Avenue corner Lirag Street, BF Homes, Parañaque City. Icebergs’ specials include loads of ice cream- and ice-based desserts, many of which are inspired by your childhood favorites. Take, for example, the best-selling Caramel Flan con Hielo (P148), a whopping creation made of leche flan, macapuno balls, ripe mango bits, vanilla ice cream, and caramel sauce, all sitting on a refreshing bowl of ice drizzled with a lot of milk. Their Super Halo-Halo (P138) is loaded with all the classic toppings—you’ll probably slurp your bowl clean after the first bite. See a list of Icebergs branches. With over four decades under their belt, you can bet Café Via Mare won’t disappoint the next time you want to indulge in Filipino classics. 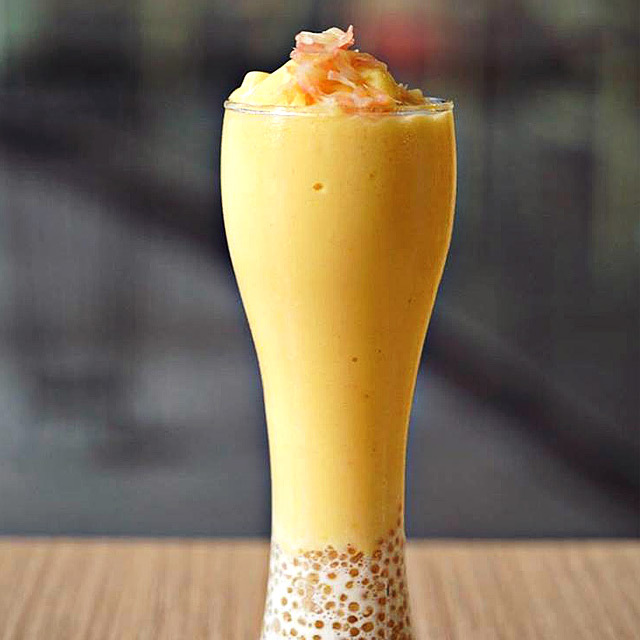 For hot days, they have a wide selection of cool desserts, like a creamy Mais con Hielo (P110), which features a mildly sweet creamed-corn base. Sugar lovers will also love Via Mare’s version of the Halo-Halo (P165/regular, P220/with ice cream), which is loaded with toppings like jelly, ube, macapuno balls, kaong, sweet beans, and saba. Nathaniel’s is known for their special Pinoy merienda, which you can eat at the restaurant or have to go, especially if it’s for a potluck. 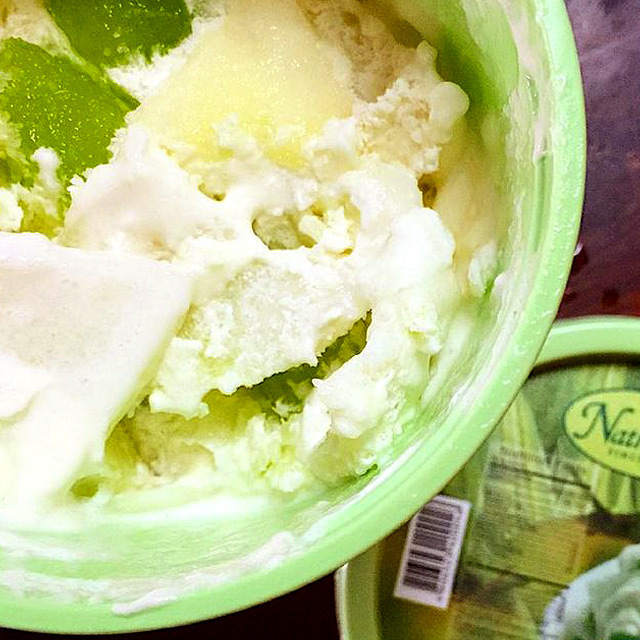 But if there’s one thing you must try at Nathaniel’s, it has to be their famous Buko Pandan Salad (P55/cup, P150/pint, P300/small, P550/large), which comes with good ol’ coconut meat, pandan jelly, and cream, mixed and frozen to form a lip-smacking ice-cream-like dessert. See a list of Nathaniel’s branches. You can’t leave this restaurant without ending your meal with the crowd-favorite Halo-Halo (P118). 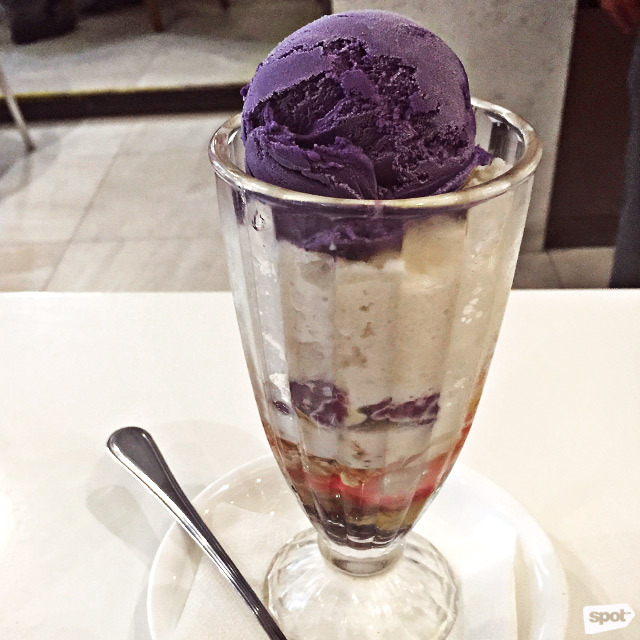 It’s a little different from the classic purple-tinged halo-halo you’re more familiar with, but that's exactly what makes it a standout. It'll be hard to stop yourself from polishing off an entire serving of their famous version, with its mild sweetness that comes from macapuno preserves, saba, and leche flan, a generous drizzle of creamy evaporated milk.